During May- September, we offer Full Day Halibut Fishing charters on our 50 FT Delta- The Sundy with Captain Garrett and our 6-Pacs. Our trips begin at 6AM and return back to the harbor between 2-4 PM. Return time is based on limits and weather. 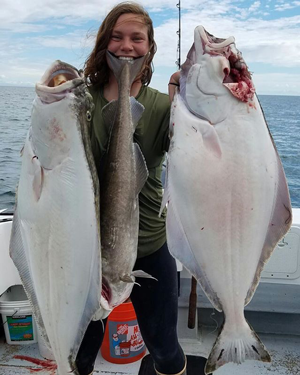 During July and August, we offer Long Range Day Trips for Halibut Fishing charters on our 50 FT Delta- The Sundy with Captain Garrett.These trips begin at 6:30 AM and return back to the harbor between 4-6 PM. Return time is based on limits and weather. 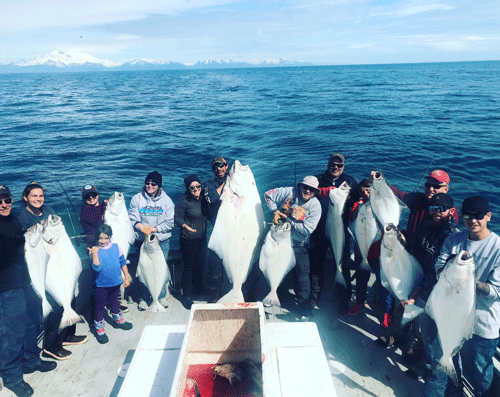 During our Long Range Day Trips for Halibut fishing, guests will be targeting one large Halibut for the day and if time permits, we can fish for the regulated smaller Halibut. During May- September, we offer 3/4 Day Halibut Fishing charters on our 50 FT Delta- The Sundy with Captain Garrett. These trips begin at 9 AM and return back to the harbor between 1-3 PM. Return time is based on limits and weather. During our 3/4 Day Trips, guests will be fishing to reach their limit since these days are considerably shorter than our Full Day option. To target larger halibut, we recommend a Full Day or Long Range Day Trip. During May- September, we offer 3/4 Day Halibut Fishing charters on our 50 FT Delta- The Sundy with Captain Garrett and our 6-Pacs. These trips begin at 6:30 AM and return back to the harbor between 2-4 PM. Return time is based on limits and weather. 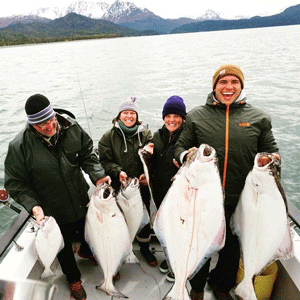 During our Multi-Species Day Trips, guests will be fishing for either Halibut + Salmon, Halibut + Rockfish, or Halibut + Ling Cod (6-Pacs only July- September). Species depend on time of year. When fishing down in Homer, make sure you remember your Homer Jackpot Halibut Derby tickets!! When you purchase a ticket and catch a big one or a tagged fish, you’ll have chances at prizes and big bucks during season!! Tickets are $10 per person and can be found at the local chamber offices. Come our this season and help break the record! Whether you’re with Captain Garrett or on one of our 6-pacs, you’ll be sure to be in good hands every step of the way!